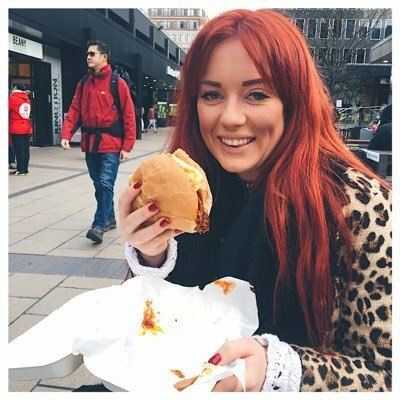 What Larsy Loves - A Lifestyle Blog : CAN PRE-MIXED COCKTAILS STAND UP AGAINST THE REAL DEAL? CAN PRE-MIXED COCKTAILS STAND UP AGAINST THE REAL DEAL? I'm just going to get straight down to it - the answer is yes. yes they can. BUT I'm not talking about Pina Colada in a can here, I've discovered something wayyy better and I can't wait to tell you guys about it! Let me introduce you to the new Funkin Cocktails 'Funkin Shakers' (try saying that after a few martinis). 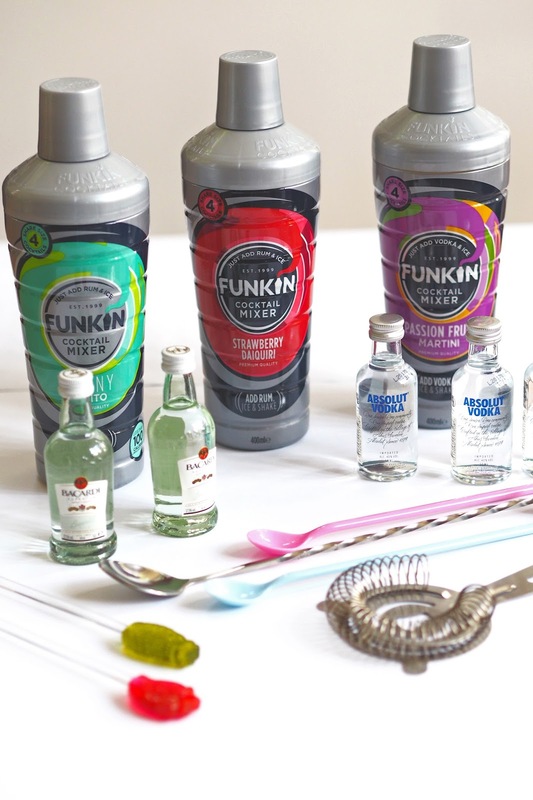 You might have come across the Funkin Cocktail range before. They create high-quality cocktail purees, juices and mixers which are ideal bases for making cocktails at home (you know the ones I mean right?) 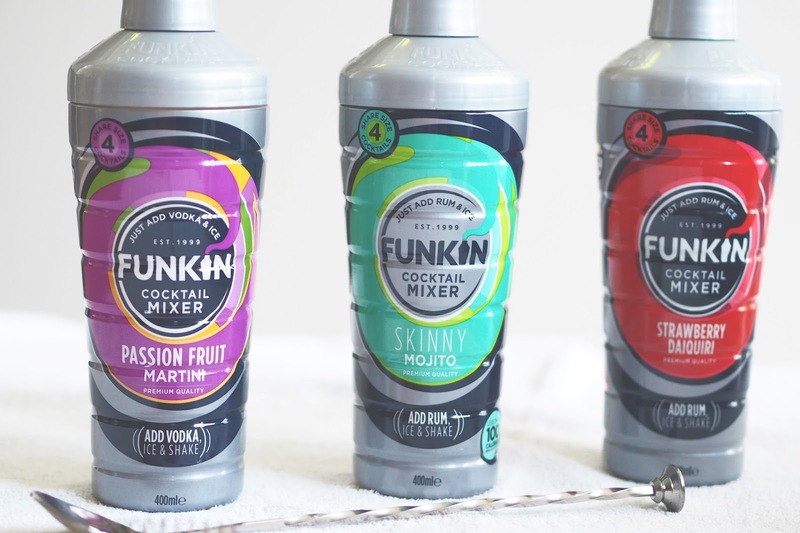 I'd only have seen them in pouches or cartons but they've gone one step better and launched this new range which is set to revolutionise the way you make cocktails at home! 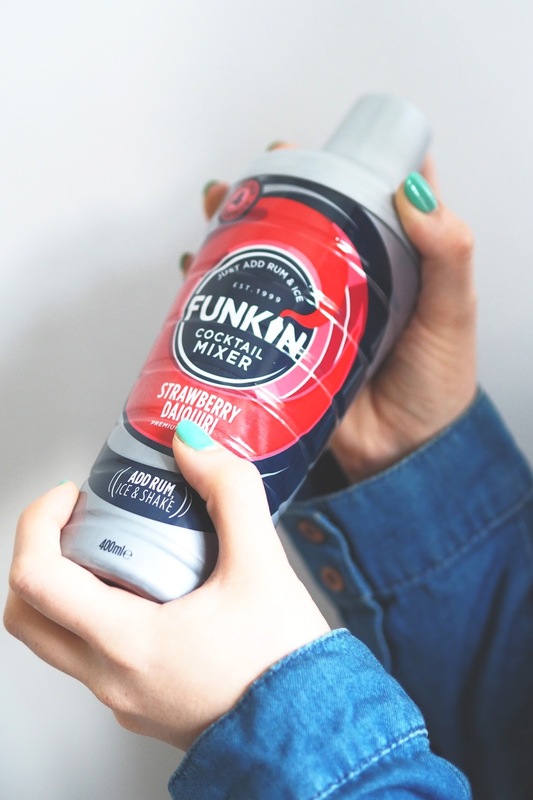 Each shaker contains enough ingredients to make four cocktails and they come in three delicious flavours: Skinny Mojito, Passionfruit Martini and Strawberry Daiquiri. And then you're ready to go! They are SO quick and easy to use, plus you don't have to do any washing up #TheDream. So far, Passion Fruit Martini has been my favourite because I ADORE Pornstar Martinis BUT I've been massively impressed with the skinny cocktail range too. 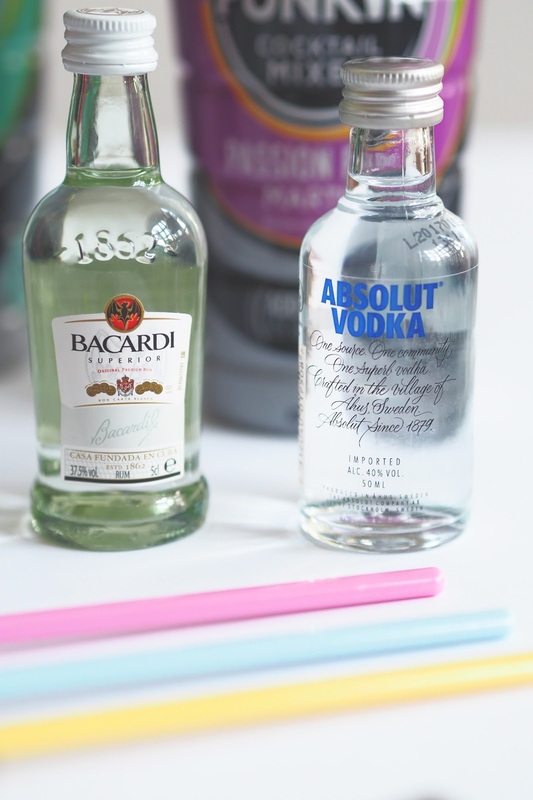 The Skinny Mojito only contains 100 calories including the rum but still tastes just as good as a regular one. All that, plus you can pick them up from your local Tesco for just £4 - so what are you waiting for! I'd go for skinny mojito! These are such a good idea, especially for a girls night in where everyone wants something different!